Established in 2012 as part of Brighter Starts Learning Tree Ltd., we launched Treezy.co.uk to support the autism and educational communities. The challenges and rewards of nurturing a child with autism are intimately familiar to us. Our special understanding of living and working with autism is rooted in our family. We are the proud parents of 4 children, one of whom is affected by autism. From the moment our son entered out lives, we’ve been actively involved in his education and development. Hours trawling the Internet for particular tools to facilitate his learning or to teach a given skill gave us a clear view of the need for more and better resources. We launched Treezy to make great resources more readily available to parents and educators in the UK. 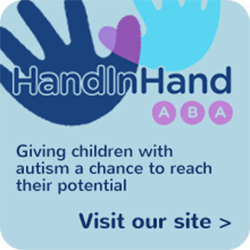 Full of carefully selected items, we offer products we feel best support the Autism and Educational Communities. Our team strives to source quality teaching tools in order to help parents and professionals. We appreciate the individual needs of every child with Autism. We strive to enable parents and professionals to help our children develop to their full potential. Our involvement in the autism community extends beyond our own parenting and webshop. One of our founders works actively in the field of Applied Behaviour Analysis. She holds a Masters in this subject and qualified as a Board Certification Behaviour Analyst (BCBA). Taken together, we are uniquely and ideally placed to source products that have direct application to any home or school based programmes of learning. We are passionate about what we do and hope that we can help and inspire you along your learning path.